Indie developer ArtCraft Entertainment have announced they've reached their minimum goal to guarantee the success of these Title III, Regulation CF crowdfunding campaign. The campaign has reached the threshold required for the newly launched investment portal with Indiegogo.com and Microventures.com. ArtCraft would be the team behind Crowfall, an MMO game by which thousands of players undertake the roles of kings, queens, assassins and mercenaries of their quest for power, of what is called a “Throne War Simulator”. 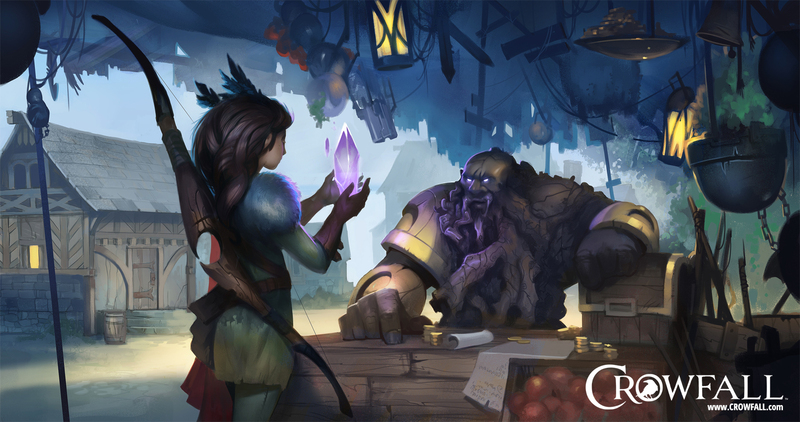 What sets Crowfall aside from standard MMO games is each server representing an individual “campaign world” hosting a distinctive map, which consists of own rules along with a limited lifespan. Following the duration of a few months, a campaign will finish with an individual guild or alliance conquering the map, where the characters will collect their spoils before trying out the next campaign. The equity raised may go towards ArtCraft’s already impressive fundraising history. The developers have raised in excess of $10 million through crowdfunding, with multiple rounds of non-public financing along with a licensing agreement with Travian Games GmbH to use the game over the continent of Europe.